Modern Chess Strategy by the well-known Czech Grandmaster and theorist Ludek Pachman, is widely recognized on the continent of Europe as the standard work on the middle-game. English-speaking enthusiasts now have the opportunity to study this chess classic, ably translated by the Irish International player Alan S. Russell. The aim of the book is to help the player to recognize the characteristic features of a position and to plan his campaign accordingly. The author begins with an examination of the individual pieces and then discusses the problem of the center, material and space advantage on a particular section of the board, pawn formations, and some general problems the chess struggle. Illustrations are drawn from games spanning many periods of chess, with a predominance of examples from recent tournaments, many of them the author's own games. Good books on the indeterminate stage of chess between openings and endings are rare. 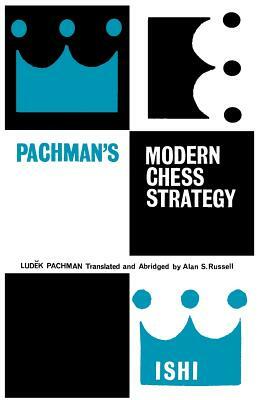 Ambitious players wanting a practical guide to the middle game will find that Ludek Pachman's great trilogy, which is completed with this volume, stands in a class of its own. "A careful study of this well translated book can hardly fail to improve the readers standard of play." Scottish Chess Association. " . . . it has come to be rated as a standard work, and the English edition should be all the more welcome and useful." New Statesman.